I absolutely love any type of celebration. Birthday parties are definitely one of my favorites. The details of the decorations, the cake, the place cards, the gifts and everything else that goes along with the celebration. The smiles on the faces of the families celebrating someone they love and cherish. 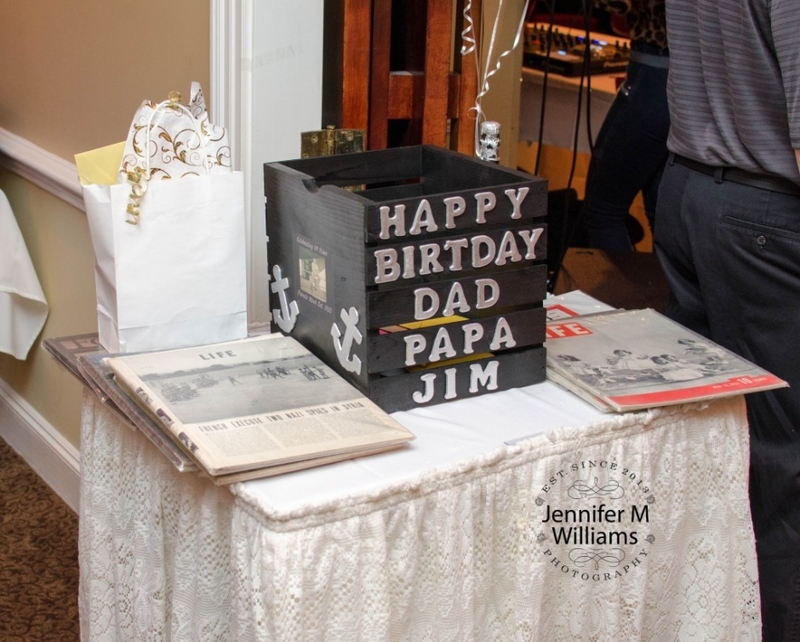 This birthday celebration was very special as it celebrated the 90th Birthday of a special man. He is the father of three handsome men, the grandfather to many wonderful grandchildren and the great grandfather to some cute, adorable kiddos. The celebration took place at the Continental Restaurant in Saugus, Massachusetts. Family members flew in from out of state to celebrate this special birthday with a man they love. 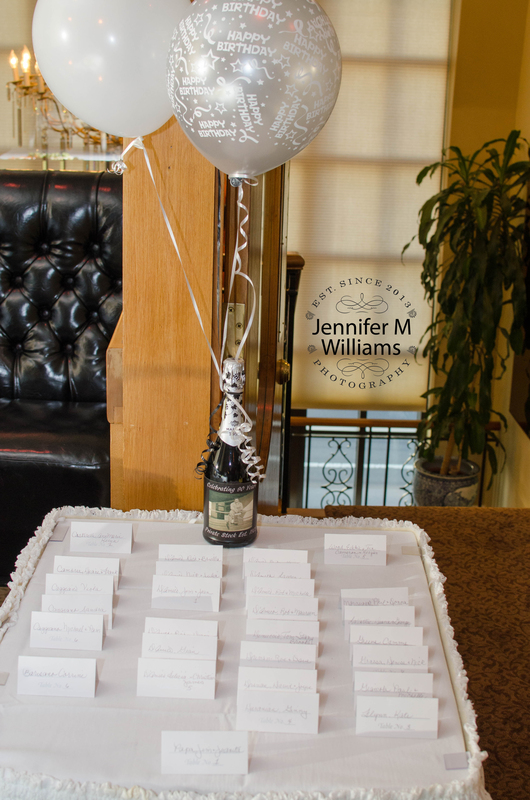 Make sure to check out the black and white photos on the champagne center piece and cake.